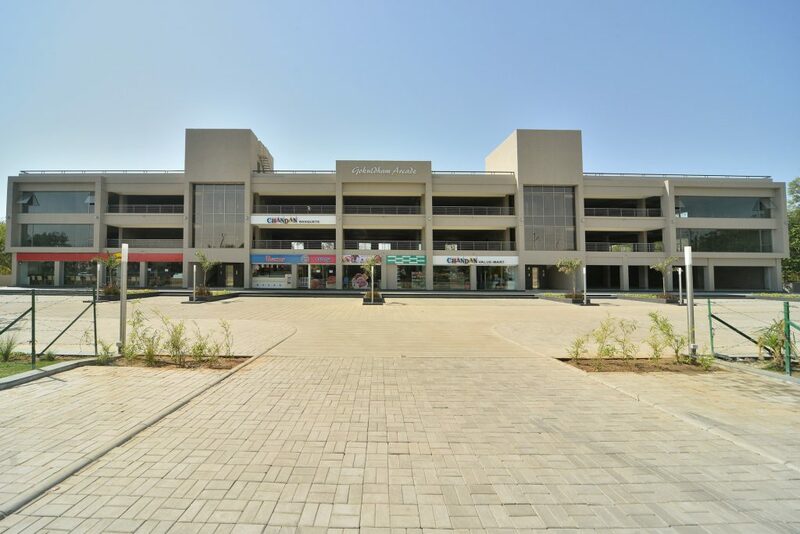 Gokuldham Arcade is a shopping center within Gokuldham Township, a township which is being developed by Goyal & Co. with other renowned builders of Ahmedabad. 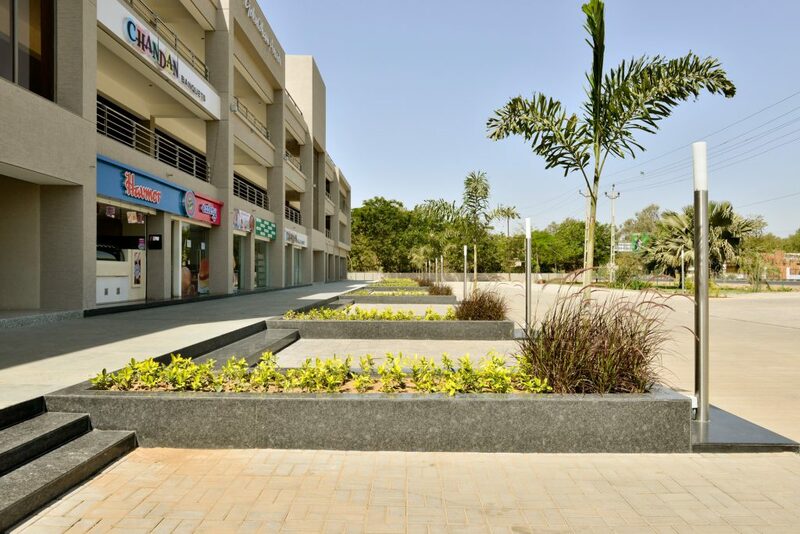 At Gokuldham Arcade shops are only being allocated to shop owners on leased terms, to control the atmosphere of the whole project. 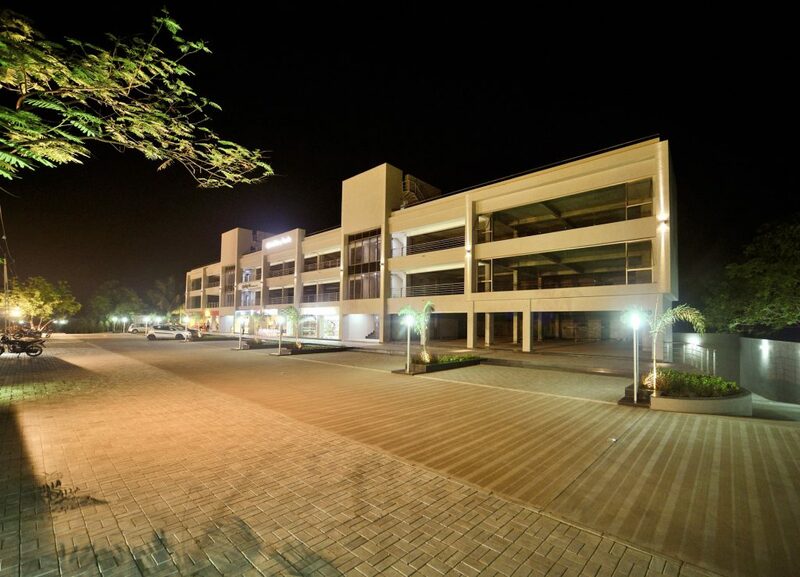 Interestingly, Gokuldham Township, houses more than 500 independent bungalows in its campus. 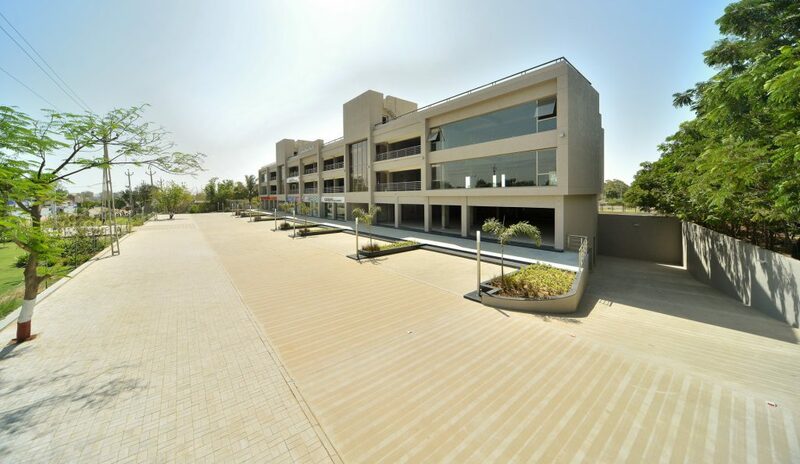 Given the shape of the plot the site plan has been kept simple; giving all the offices a roadside frontage of Sanand Sarkhej highway, to attract people who keep travelling into city. 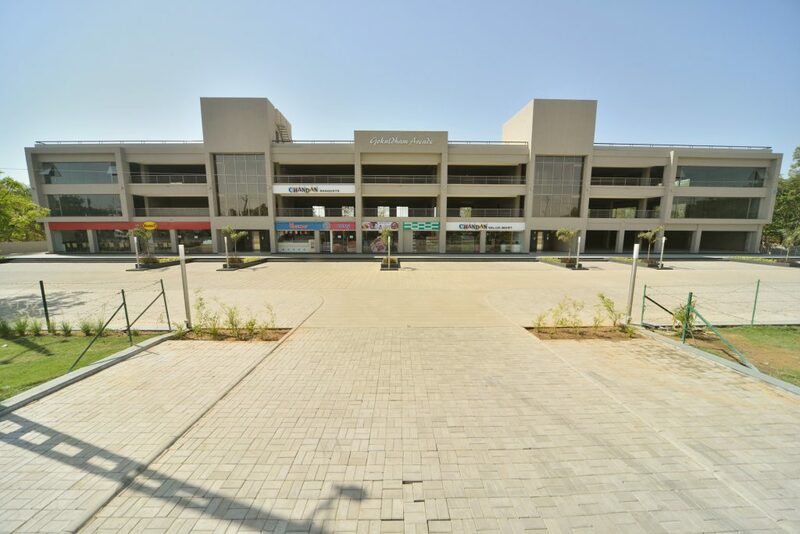 In fact, Gokuldham Arcade provides a clean frontage with a lush green landscape for the Gokuldham Township, as a part of an integrated whole township. 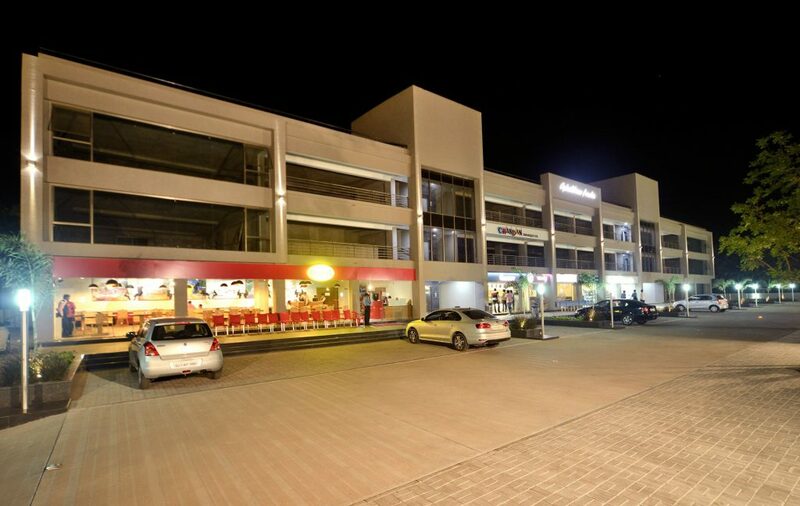 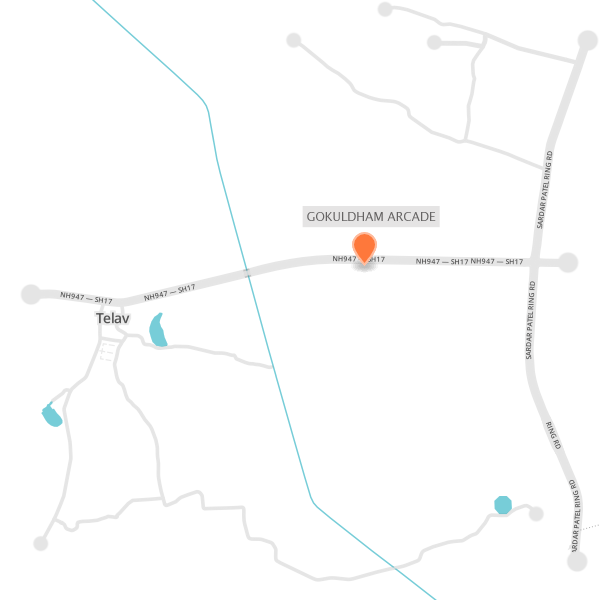 Gokuldham Arcade’s location offers a dual advantage to shop owners. 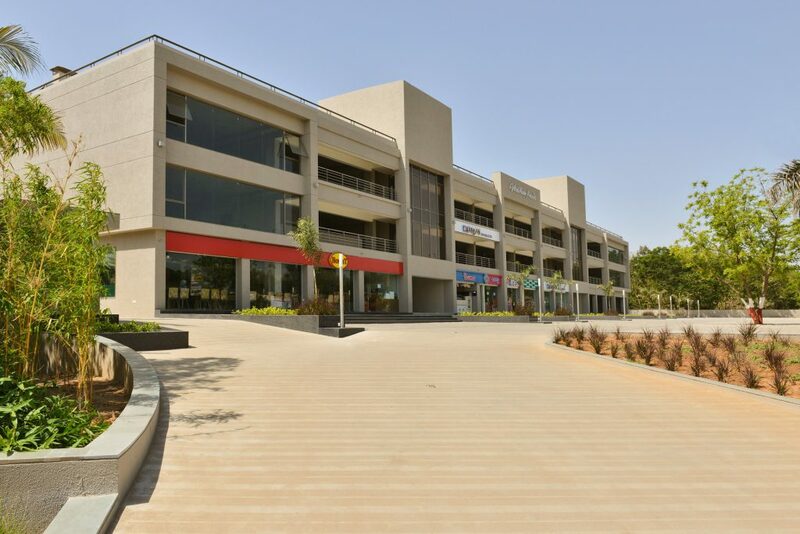 First, since the site is located just at the beginning of Gokuldham Township – an integrated township, it stands to meet the demand of shopping requirements from 500 houses within this the Gokuldham Township. 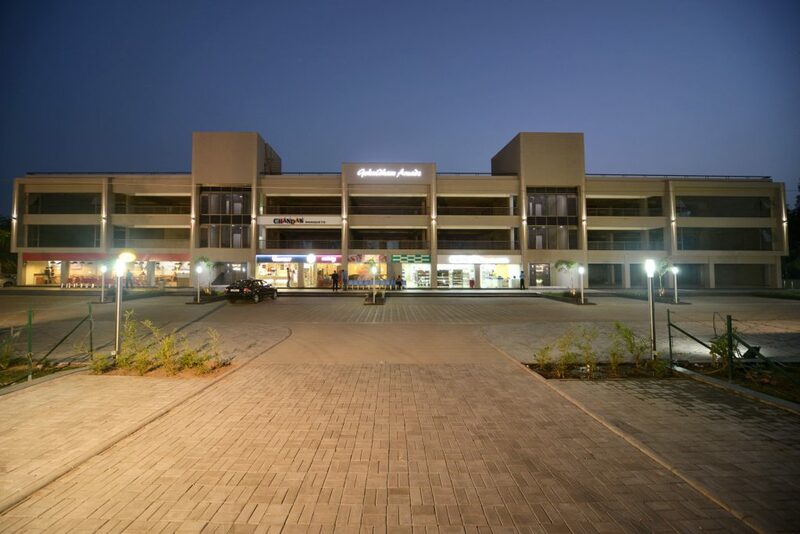 The second advantage is that its located strategically on Sanand Sarkhej Highway and just 6 kms from Sardar Patel Road; apart from being surrounded by multiple other independent bungalow schemes.